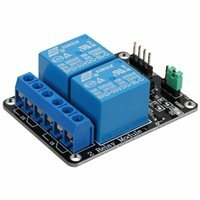 5 relay selection of quality loose music relays SPDT. A common terminal, a normally open, one normally closed terminal. 6 optocoupler isolation, good anti-jamming. 7 low pull, high release. Energisation status indicator lights off when you release the status indicator.